What price is too high to pay, even for love? 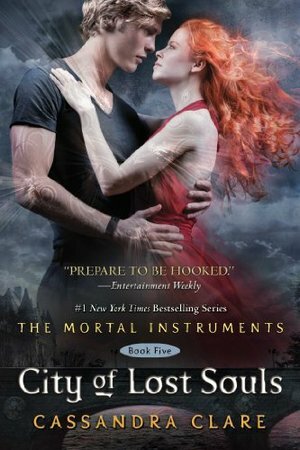 Plunge into fifth installment the internationally bestselling Mortal Instruments series and “prepare to be hooked” (Entertainment Weekly).When Jace and Clary meet again, Clary is horrified to discover that the demon Lilith’s magic has bound her beloved Jace together with her evil brother Sebastian, and that Jace has become a servant of evil. The Clave is out to destroy Sebastian, but there is no way to harm one boy without destroying the other. As Alec, Magnus, Simon, and Isabelle wheedle and bargain with Seelies, demons, and the merciless Iron Sisters to try to save Jace, Clary plays a dangerous game of her own. The price of losing is not just her own life, but Jace’s soul. She’s willing to do anything for Jace, but can she still trust him? Or is he truly lost? Love. Blood. Betrayal. Revenge. Darkness threatens to claim the Shadowhunters in the harrowing fifth book of the Mortal Instruments series.